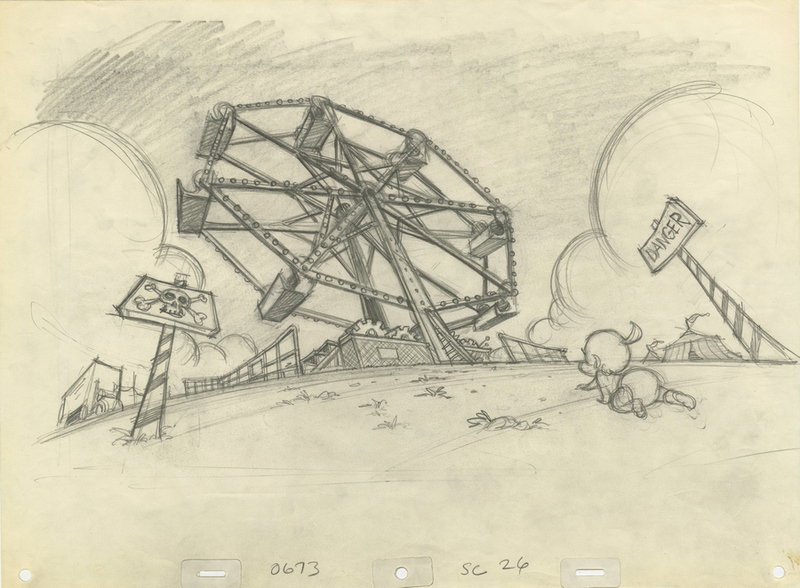 This is an original early story development drawing from the Walt Disney Studios production Roller Coaster Rabbit (1990). 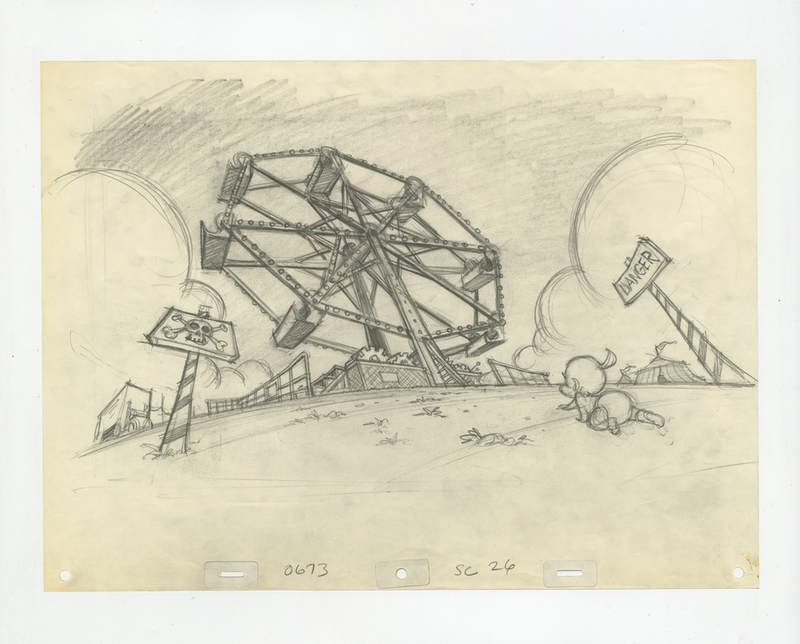 This original storyboard drawing features Baby Herman approaching the ferris wheel. It was created at the studio and used during development of the story, with imagery similar to the final scene in the film with differences in the layout and environmental elements of the scene. The overall measurements of the piece are 12.5" x 17" and the image itself measures 9" x 15.5". The drawing is in very good condition.